The Shiraz Vineyard in Sellick Hill. Image by Magnolia Mountain. Natural wine has been making waves in Australia of late with its minimal-intervention appeal and unique flavours. Almost always organic or biodynamic, grapes grown for natural wine have little or no sprays and is left to ferment naturally; instead of additives, more patience, attention to detail and creativity is required for them to taste good. 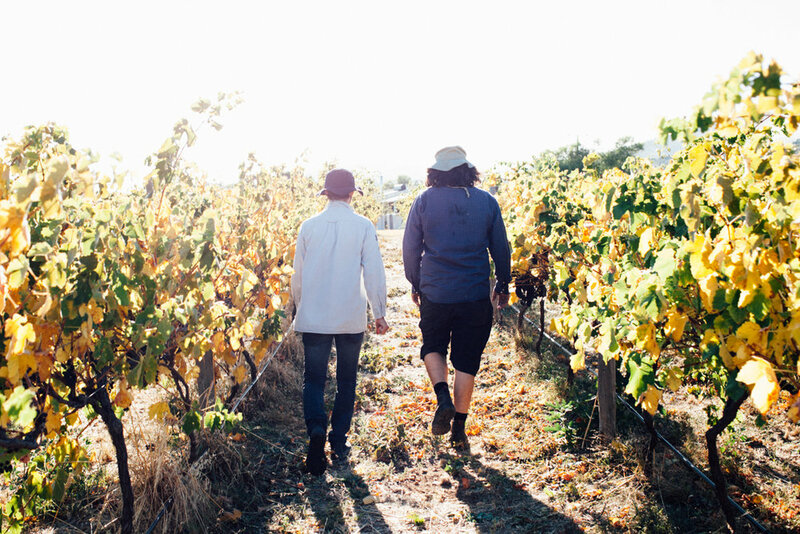 Alex Schulkin and Galit Shachaf of The Other Right produce natural wine out of the Adelaide Hills with a mission to make people see things differently. They love pushing the boundaries of what is conventional in the wine world, hence the name The Other Right - an alternative to what is deemed the ‘right’ way. Their wines are an expression of them - untamed and free-spirited - and they want to create a world where you can feel exactly that. This week they talk the art of natural winemaking, experimentation and the future of the wine industry. Can you please tell us how you first got into the art of winemaking? We got into winemaking in what's likely to be a pretty common way - back in 2009 a mate said his dad had a tonne of spare grapes, and we decided to not let it go to waste. As the years passed, Alex got a degree in Oenology, we met a couple of people who heavily influenced our approach to winemaking (namely, James Erskine of Jauma and Anton van Klopper of Lucy Margaux), and the rest is history. What's your approach to winemaking and what kind of wines do you produce? Our approach to winemaking is very similar to our approach to life - keeping it simple, going slow, doing less but putting a lot of attention into what we do. We love to experiment, colour outside the lines, and see what happens. Main thing is not taking things too seriously and keeping it fun! We make red, white, orange, pink, with bubbles, without bubbles, usually light, occasionally big wines. The list is quite diverse, as rather than forcing it into a specific style we keep the juice untamed and let the wine spontaneously form with very little interference from our side. We don't have a wine portfolio we stick to year in, year out. Instead, some wines happen almost every year, some sometimes, and some only once. What’s the difference between your wine and that of conventionally made wine? Conventional winemaking is a tremendous range of techniques that lead to anything between heavily processed wine, designed on an Excel spreadsheet, to something not too dissimilar to what we do. 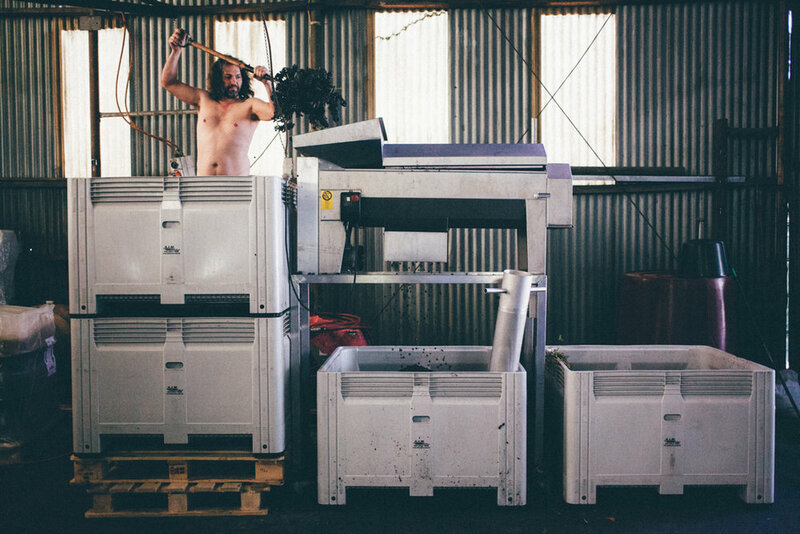 We probably do push it further than most winemakers with keeping our winemaking simple and ‘naked’ as only grapes and nothing else makes it into the bottle. But it's important to understand that if we look at the whole scale, some conventional winemakers will appear much closer to us, than to some other conventional winemakers. How would you define sustainability in terms of organic and natural winemaking processes? Speaking of sustainability, it's mainly the viticulture, rather than winemaking, that plays a role. We follow the organic approach to viticulture. We find it more environmentally friendly, and we do believe it leads to better wine in the end. None of the vineyards we work with are certified organic at this stage, but they are all managed according to the NASAA guidelines, and, in theory, are certifiable now or in a couple of years. The freedom, the fluidity, the seasonal nature of it, taking risks and getting away with it at times, creating in general, and making it happen as a family. Have there been any big changes in the industry since you've started? Absolutely. The wine game has changed incredibly since the beginning of the decade, from quite conservative to very open minded. That includes all parties involved, from winemakers through trade professionals to wine drinkers. There is a lot more conversation about how a wine is made, interest in the story behind it, and more room to talk about the farming aspects rather than celebrating only the winemaking techniques. We see much more interest in fun wines, appreciation of minimalistic winemaking, and acceptance to new/renewed styles which corresponds directly with what we do. Happy times! Alex working hard in the winery shed. Image by Magnolia Mountain. What does the future of wine look like to you? We're pretty certain that Natural Wine is here to stay. 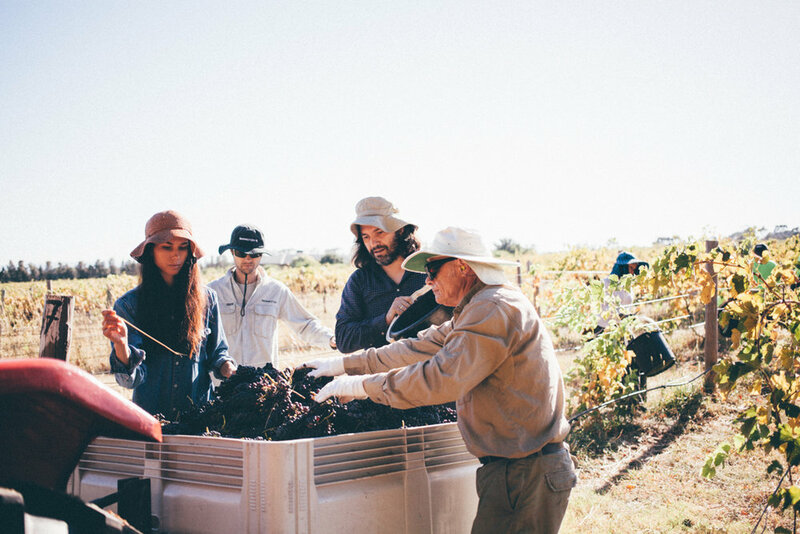 The conversation around sustainability will push viticulture into looking at more holistic farming and the interest in wines that are leaner and cleaner will grow. It would be great to see Australia lead in of those aspects. And finally, what's your ultimate food and wine combination?